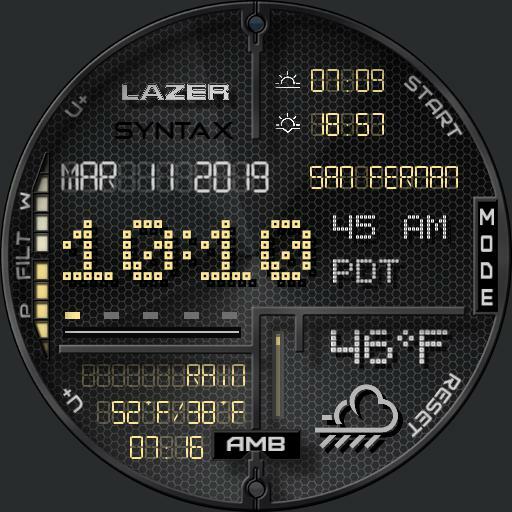 Tap time display to choose 12hr time, 24hr and 3 additional time zones. Tap AMB for dim. Tap weather icon update weather. Tap U and U- for Ucolor. Tap FILT to cycle through 4 level dark filter. Tap START and RESET for chrono.